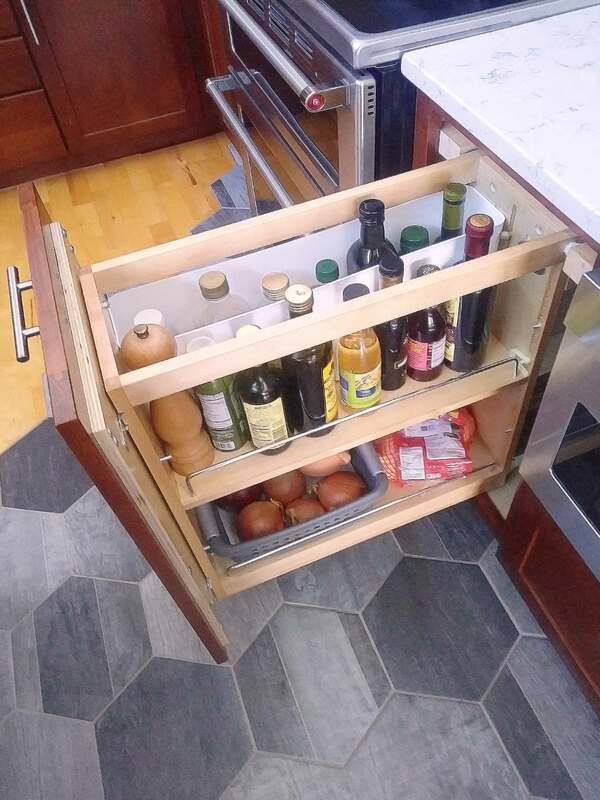 This pull-out cooking oils drawer sits next to the cooktop for easy access while cooking. Keeps cooking oils and other bottles organized and out of sight when not in use. 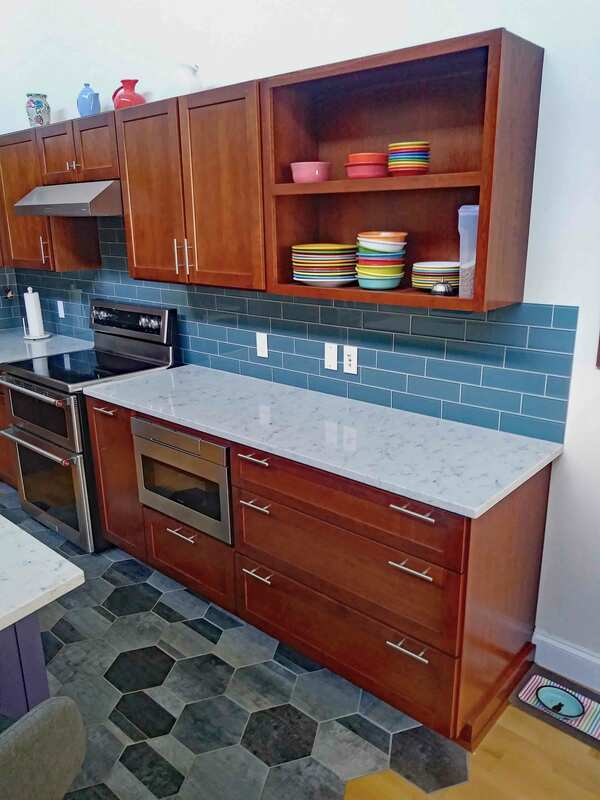 A feature of the Loft Kitchen renovation.